How easy and inexpensive is this to make? I love this dish because it’s the best way to use some leftover wine. 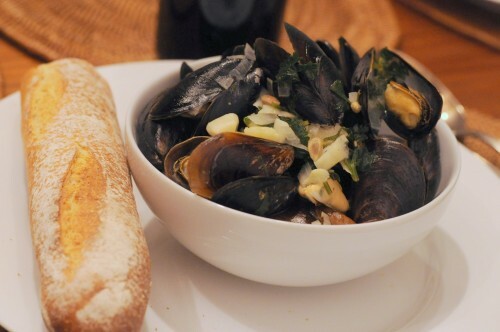 The broth it produces with the mussels is excellent for dipping a baguette. A bag of mussels in relatively cheap and when this is served in a large bowl as a communal dip-and-eat appetizer, it’s really a lot of fun. 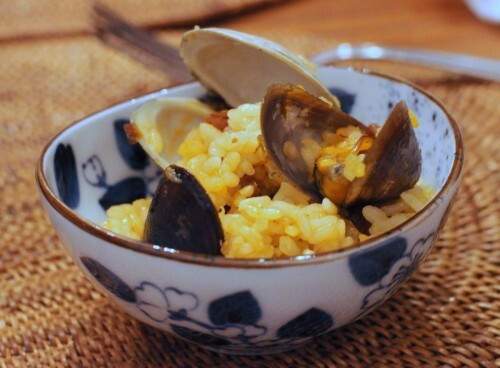 This entry was posted in Recipes, seafood and tagged mussels, seafood on January 23, 2013 by admin. Every year during the holidays, my office receives a few boxes of smoked salmon lox as presents. They are too cumbersome for my co-workers to take home so I often end up with them, usually giving one to a friend who is going home for the holidays, and either serving the other one at a party or coming up with interesting recipes. This year we decided to make half of it into a pasta dish. 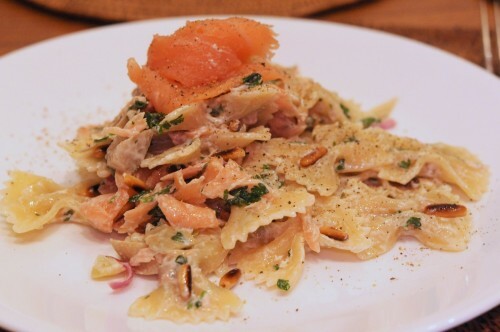 Salmon lox topped farfalle with artichokes, pine nuts and parsley in a lemon and wine cream sauce. Drool. This entry was posted in cooking, seafood, Uncategorized and tagged fish, pasta, salmon lox pasta, seafood on January 14, 2013 by admin. When I was first displaced from my homeland, I learned that the best way to relive and return to a geographically inconvenient location is by cooking its cuisine. This is how I learned to cook Filipino dishes and replicated the aromas of kitchens back home. Smell is, after all, the strongest trigger of memory. And it’s my weapon of choice for homesickness. Homemade paella! I can never get tired of it. 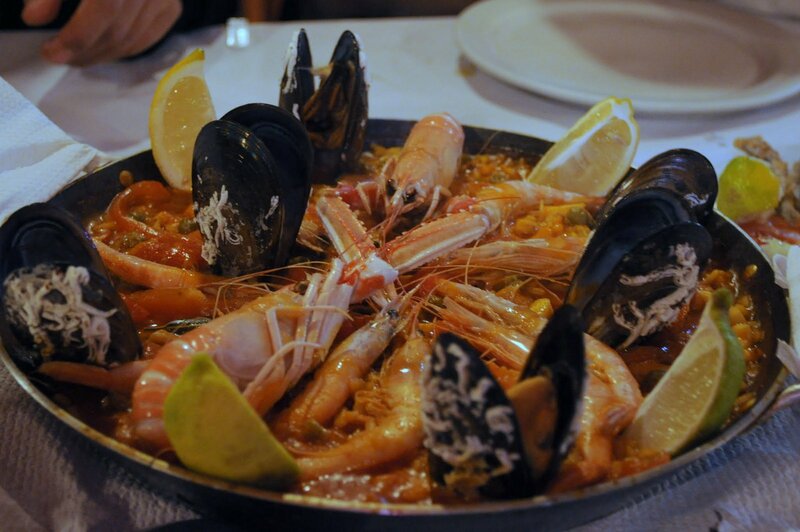 Of course, paella isn’t exactly Filipino. But, but, but if you’ve done your homework at all then you would know that paella graces many feasts in the Philippines, more festive and complex than regular mainstays like noodles and fried or roasted pork, and often too delicate to successfully make for a large party. 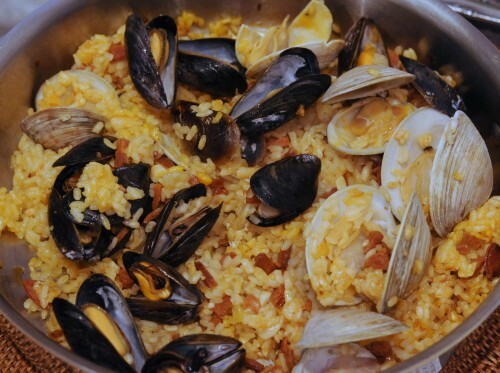 This entry was posted in cooking, Recipes, seafood and tagged clams, mussels, paella, seafood, spain on January 1, 2013 by admin.